Today was the promotion ceremony and the colleagues-friends decided to hang out for dinner and drinks!!! 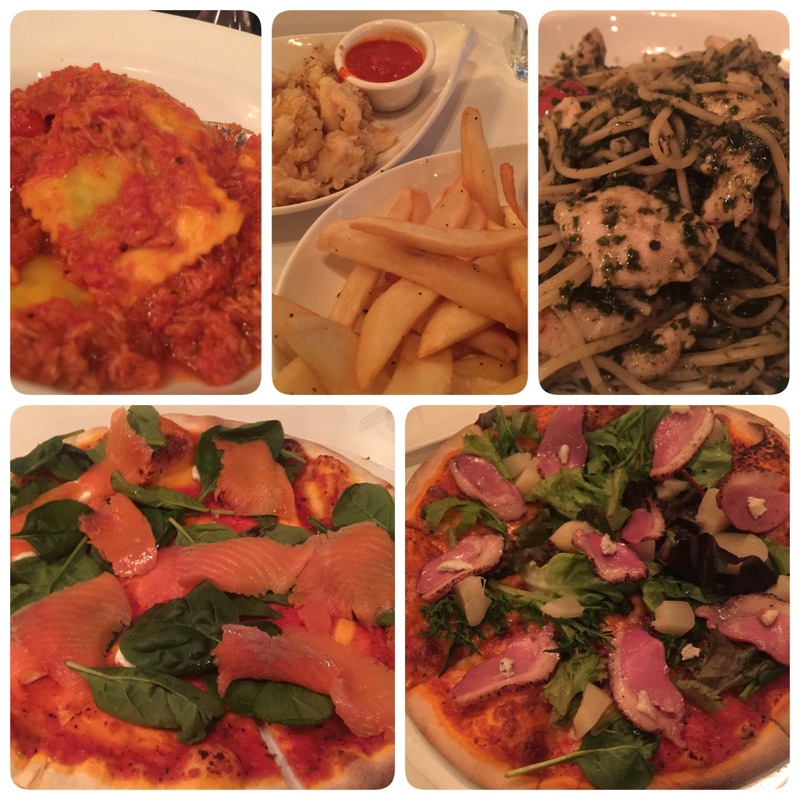 We had dinner at Mont Calzone Pizza & Bar! Their pizza isn’t fantastic while the pasta really did save the day! After dinner, we walked towards club street in search for a drinking place to chill at. In total we had, 1 Sangria Red, 1 Sangria Cava, 1 Ochoa Blanco & 4 Honoro Vera. All thanks to all those, XQQ was so drunk that she puked and zonked out for the very first time. By 1030pm, I already had 2 small glasses of Sangria Red, 2 small glasses of Sangria Cava, 1 glass of Ochoa Blanco and 3 glasses of Honoro Vera. And the moment I stopped and rest, that’s it for me. I felt really drunk. Then I rest. I “woke” up feeling dizzy. Oh my world is spinning. I am spinning. Haha! Steph was there to hold my bag and check on me. YL was there to hold me still on my high stool. Huining was there to make sure I don’t spill anything on the table. Who else? Only stupid Charles keep saying I am ok. Apparently he was more drunk than me.